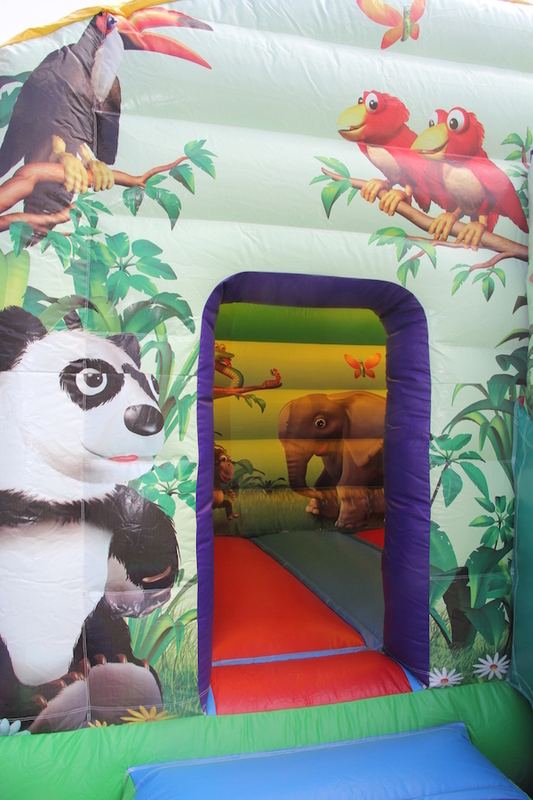 This very impressive bouncy castle with a great slide too with beautiful artwork and 3D jungle images is popular with both boys and girls. 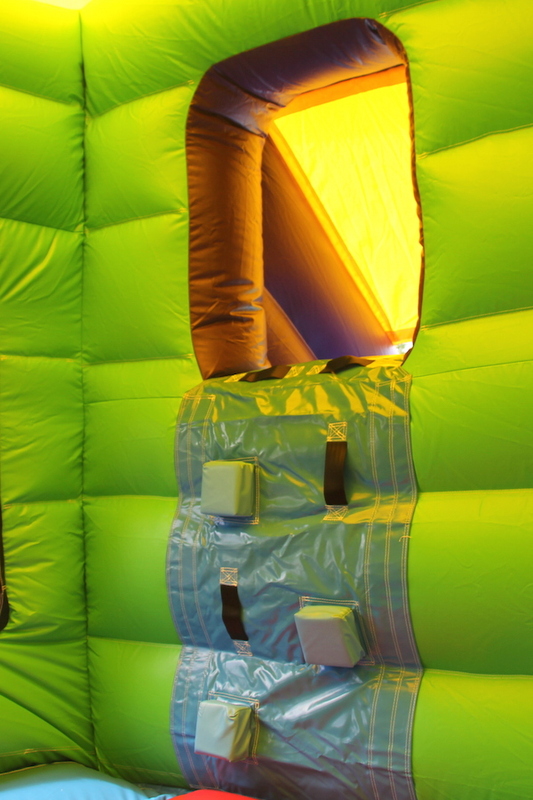 It provides hours of fun with a good size bounce area plus the excitement of a slide. 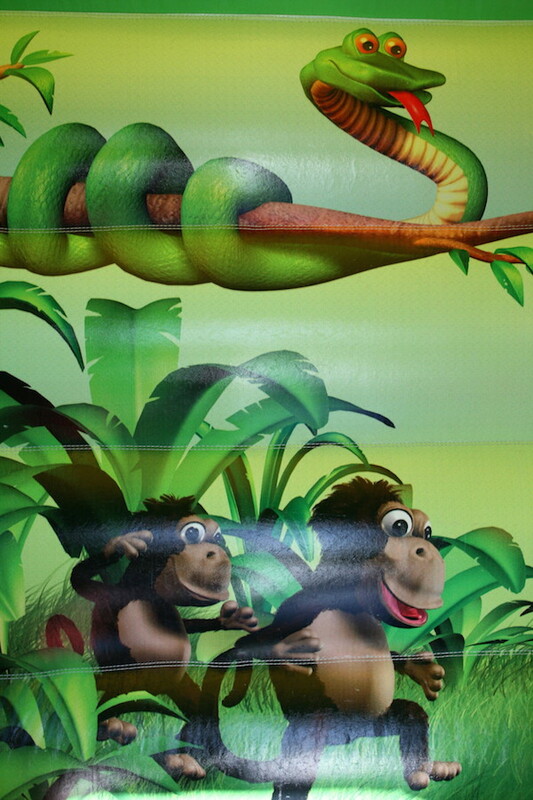 A real party favourite with all little tigers and monkeys! An easy climb slide and large side viewing windows make this the perfect choice for younger children’s parties. 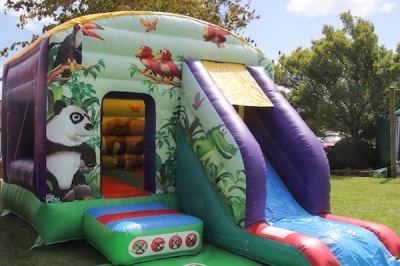 Jungle Bounce & Slide is available to hire for outdoor and indoor (subject to ceiling height). 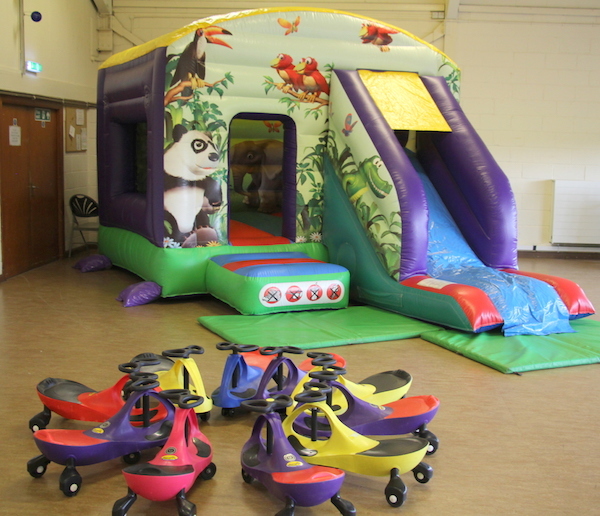 Don’t forget that you will also get the free use of our Plasma Cars if your event or party is held indoors. 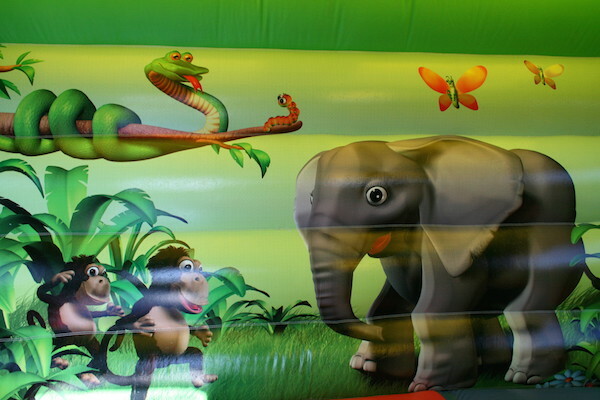 This inflatable is available to hire for birthday parties, family fun days and school fetes. 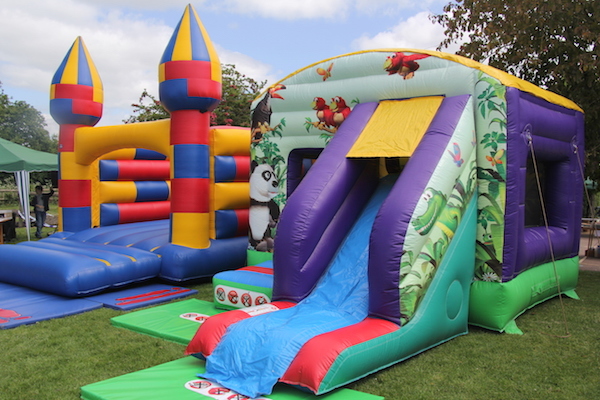 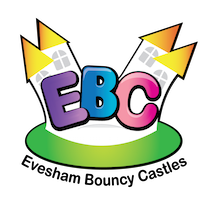 We can offer this bouncy castle throughout Evesham, Worcestershire, Herefordshire, Gloucestershire, Warwickshire and The Midlands.